Taper candles are a great way to add a touch of elegance to a room. You can go with a traditional candle holder, or choose a modern one to suit your decor. I love choosing the right one from my collection to go with the theme I'm creating. 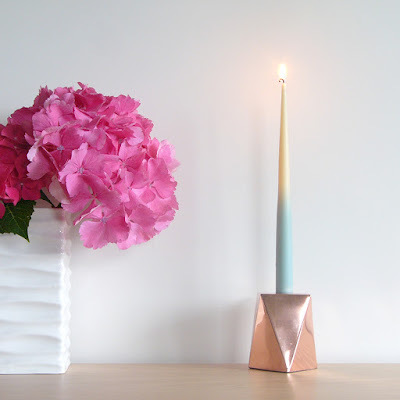 Here I've teamed a copper candle holder with one of our turquoise colour-dipped tapers and a large vase with some gorgeous pink hydrangea blooms. The flowers offset the metallic, geometric shapes of the candle holder, and were picked from the garden. The bright tones of the raspberry pink colour-dipped tapers work well with the concrete candle holders. To achieve this look cluster a group of taper candles together in simple, utilitarian candle holders. 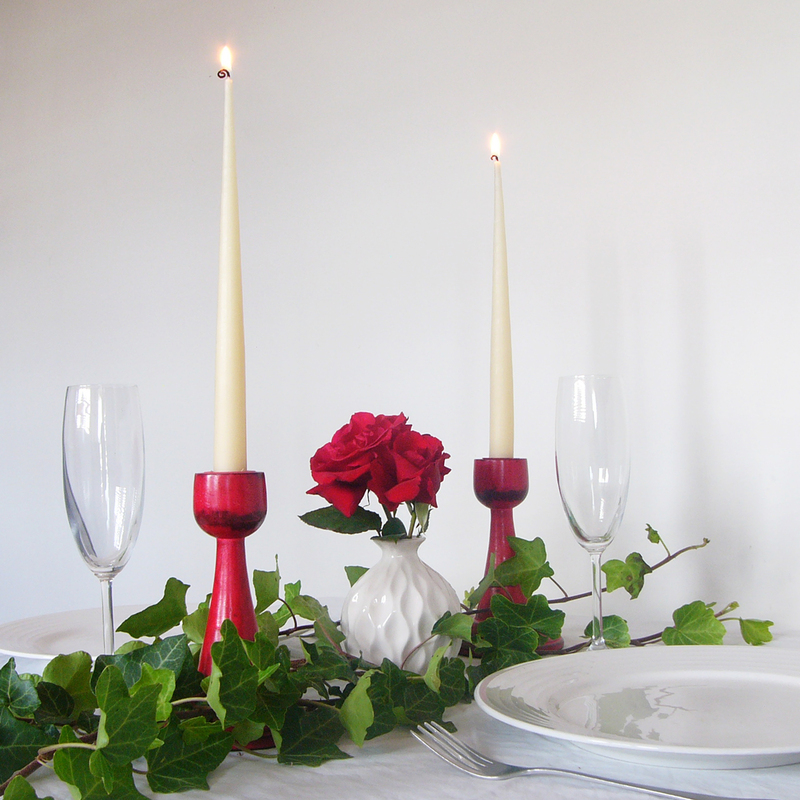 What is more perfect to set the scene for a romantic dinner for two than candlelight? 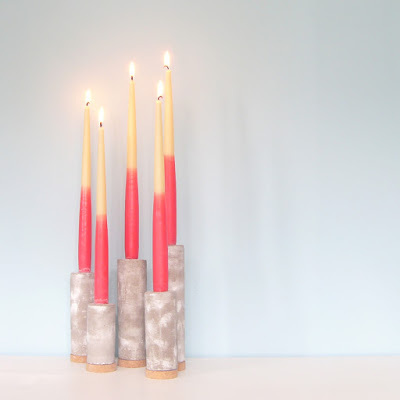 If you're planning to treat your partner this Valentine's day, you can't go wrong with some the creamy look of our soy/beeswax blend hand dipped taper candles in some classic candle sticks. We've added a red rose and some ivy from the garden to finish the look – all it needs now is a bottle of bubbles and a delicious home cooked meal!